The sun is out, the weather is warm, and it's the perfect time to hop on a bike and go for a spin! 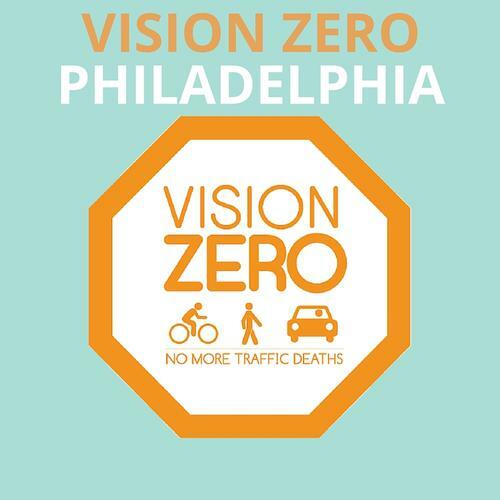 Philadelphia is a very bikeable city, especially with the recent addition of new protected bike lanes around the city, new bicycle signal lights, and the implementation of Vision Zero, an initiative to eliminate all traffic-related deaths and serious injuries from Philly’s streets by 2030. If you plan to pedal around the streets of Philadelphia, whether you are a novice just shedding your proverbial training wheels or a seasoned vet who rides in all weather and road conditions and can dodge a pothole in a split second, the key word is safety. "According to the Center for Head Injury Services, 75 percent of all bicyclists who die each year die of head injuries and 85 percent of head injuries in bicycle accidents can be prevented by wearing a helmet." So, yeah, just wear a helmet! Don’t ride the wrong way down one-way streets. Don’t ride on the sidewalks. Use bike lanes when possible. Read up on more bike laws from the Bicycle Coalition of Greater Philadelphia. Know your beginning and ending destinations of your route. Don't hesitate to call an audible if a street is too congested and you want to find an alternate way to get where you are going more safely. To go along with that, always be aware of other motorists and pedestrians on your route. Stay alert and ride assertively! Skip the coiled cable locks and buy a sturdy U-Lock. Lock up the frame of your bike, not just one of the wheels. Lock to a bike corral or pole, and refrain from locking up against trees. And If at all possible, never lock up your bike outside overnight. 5. 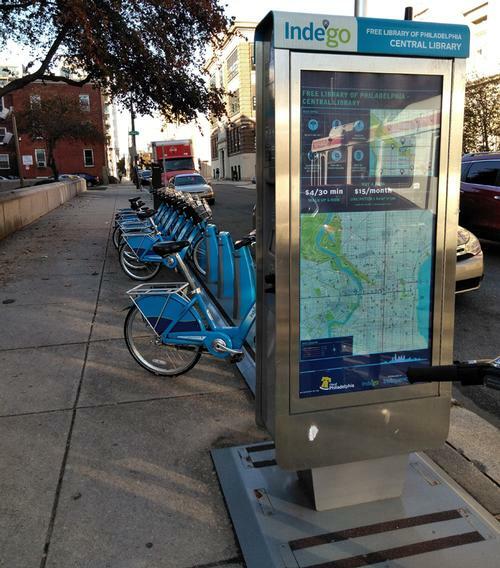 Use Indego bike share! Can't afford a reliable bicycle? Is your bike in the shop? Or maybe you have some friends or family visiting from out of town but you want to show them the city on two wheels? 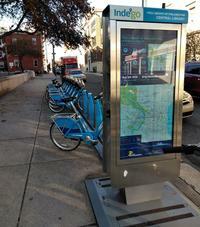 Just hop on an Indego Bike Share bicycle. They are conveniently located in pretty much every part of the city now! 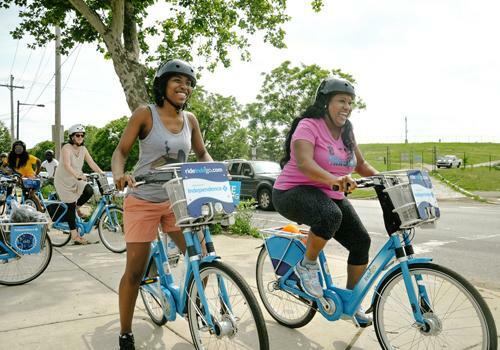 These are just a few tips, but you can learn a whole lot more in-depth rules of the road and run through bicycling scenarios by attending our Indego Urban Riding Basics classes, held the last Thursday of the month, from now through October. All are welcomed to join this free class. 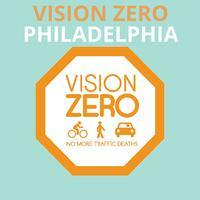 Vision Zero, an initiative to eliminate all traffic-related deaths and serious injuries from Philly’s streets by 2030.